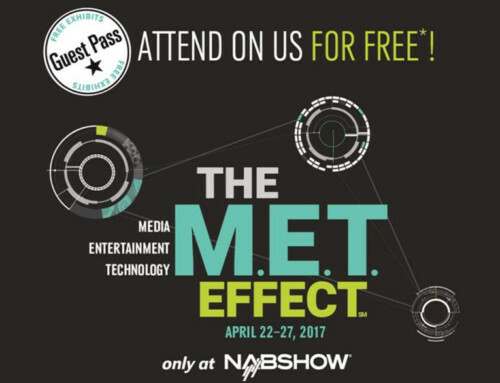 Exhibition will run from April 6th – 11th. 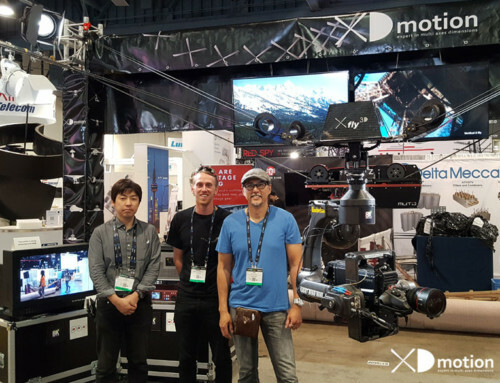 Stop by XD motion and GSS booth C4744 and meet our CEO, Benoit Dentan. 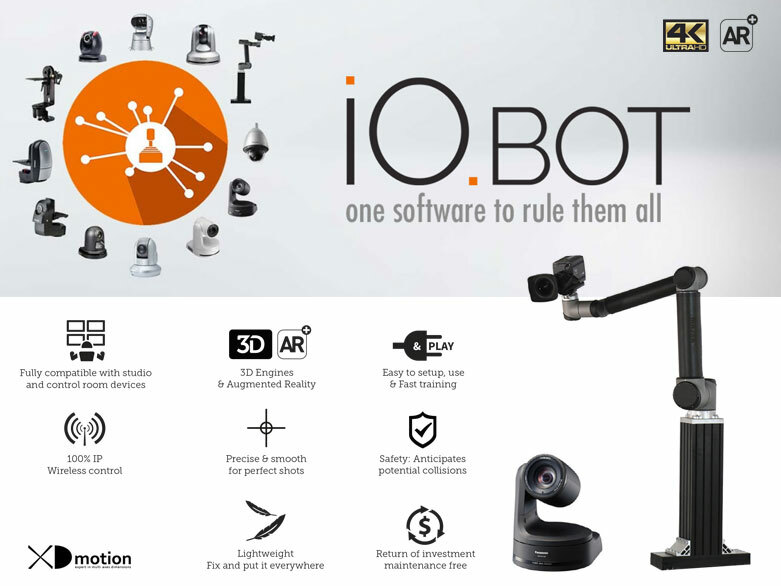 To continue delivering the widest range of possibilities available we are delighted to confirm our newest offering – iO.BOT: The software is designed for end users, by end users, so it has the MOST ergonomic user interface imaginable. It allows you to control an unlimited number of PTZs and robots at the same time from one location ensuring that you save cost, space and time. 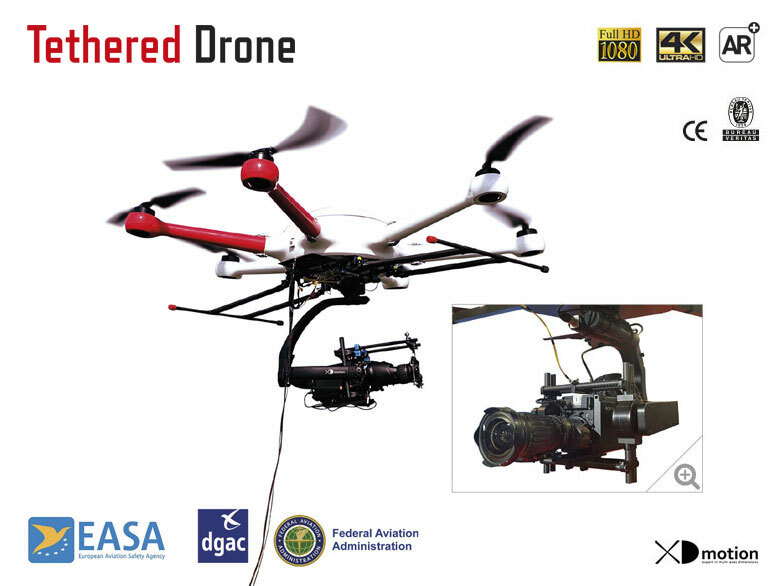 With our new XD cam Head we deliver 3 Axes, fully Gyrostabilized as a single package. 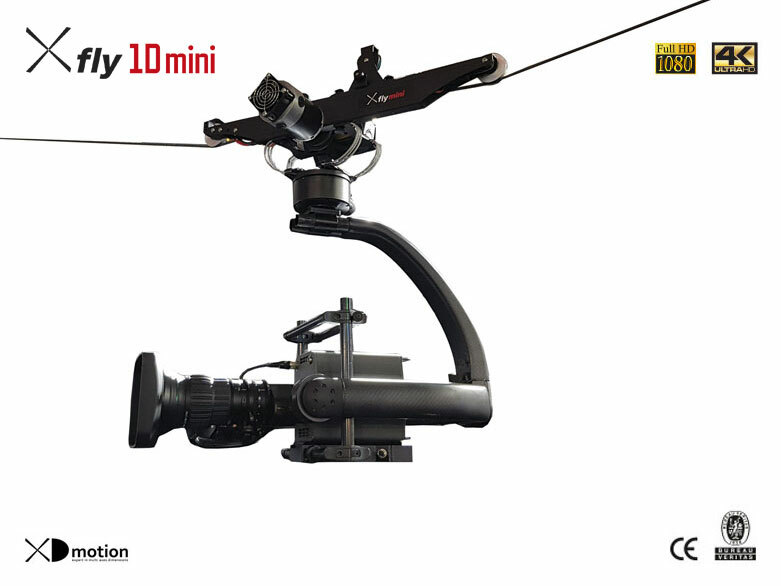 The Mini X Fly 1D keeps your crew small and high responsive. It only requires a single operator to control all of the cablecam functions, gimbal and lens. XD Cam Head will allow smooth motion images on 3 axes thanks to its Gyrostabilized system. Add to this its RF system control and it really couldn’t be easier to operate. Our innovative use of Fibre technology has led us developing the New Captive drone for extended periods of aerial shooting. This drone is equipped with a Full Broadcast HD camera and zoom lens. It can be used for some amazing locations with the safest position for the camera operator. 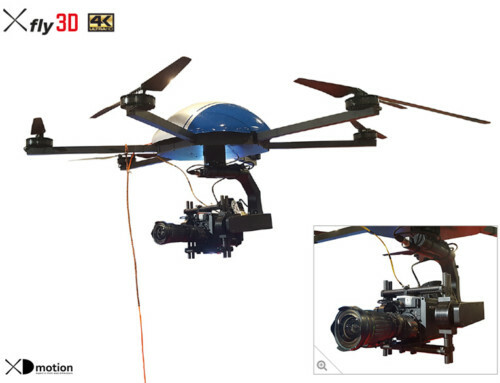 Powered through the tether the drone can fly (and so output can be transmitted “Live”) for hours or days. Requiring only 2 crew members it ensures a rapid, mobile installation to for relocation between different venue locations. 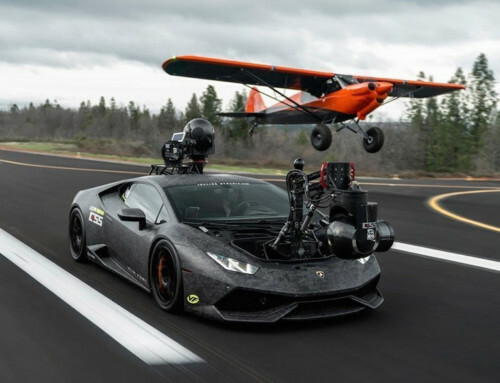 The Cablecam X Fly 3D has been further developed to be Augmented Reality (AR) capable. The first deployment of the AR system will be at a European eSport competition in April. This innovations means there is now no need for an extra tracking system. METADATA is provided for the AR directly from our systems ensuring superior stabilisation quality even on full zoom. 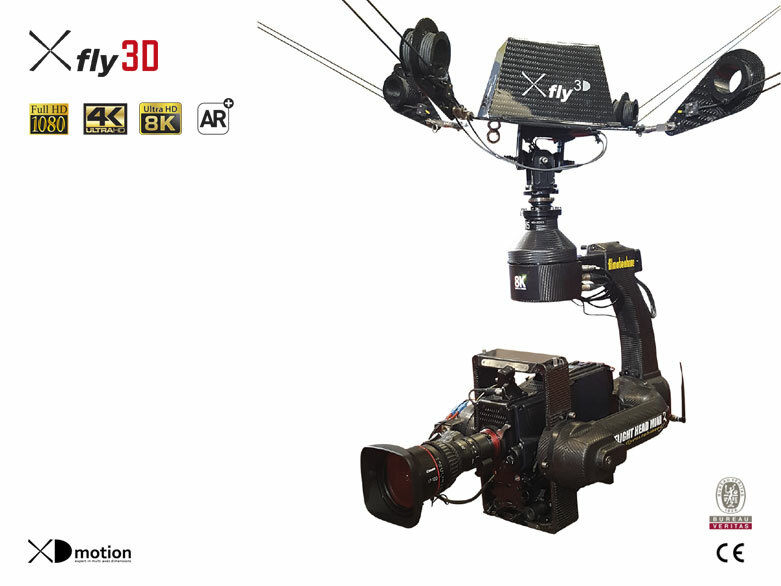 To keep pace with our customer’s demands on major international events the X Fly 3D also integrates the world’s most efficient 8K camera from a Japanese manufacturer and, through our adapted fibre optic, we can transmit all “live” signals and manage the camera controls. challenging of conditions. 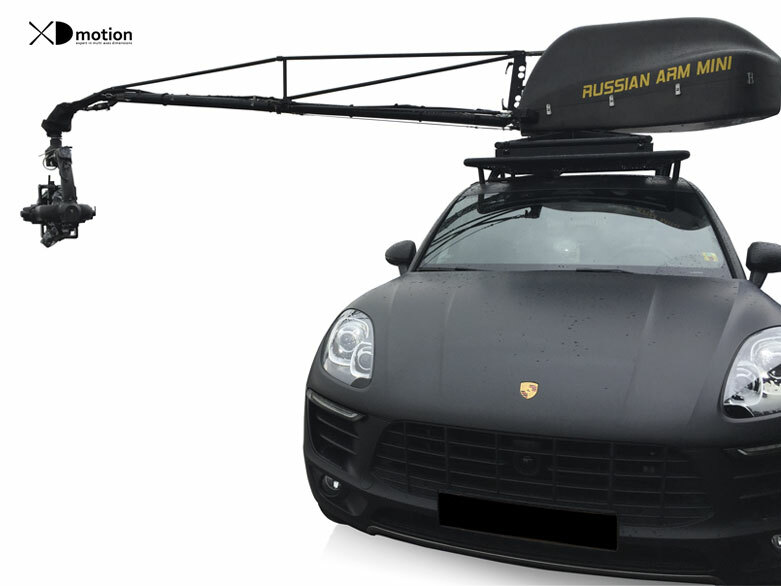 It is capable of 360° pan and full tilt – producing a wide range of impressively stable, smooth and exceptionally dynamic shots.